Land conservation district committees (LCDCs) are statutory bodies formed under section 23 of the Soil and Land Conservation Act 1945 (the Act). LCDCs operate within land conservation districts defined by an Order of the Governor in Council on the advice of the Minister for Agriculture and Food. The Commissioner of Soil and Land Conservation (the Commissioner) manages the land conservation district system, and supports LCDCs. The Commissioner operates from within the Department of Primary Industries and Regional Development (DPIRD). Since LCDCs were first established in 1982, their roles and functions have evolved with some becoming incorporated groups focusing on issues wider than land degradation and soil conservation. Others have maintained their strong traditional ‘landcare’ focus. perform such functions relating to land degradation and soil conservation as may be agreed between the Council and the Commissioner. the removal or deterioration of natural or introduced vegetation, that may be detrimental to the present or future use of land. In addition, an LCDC has such powers as are reasonably necessary to enable it to perform the functions set out above, including the power to employ persons to assist the committee carry out its functions. In accordance with section 24(1) of the Act, the Commissioner can authorise an LCDC to undertake activities relevant to preventing land degradation or promoting soil conservation. undertake any project funded by the Commonwealth or state under community grants programs. If an LCDC wants to undertake an activity that is not authorised above, it will need to gain written approval from the Commissioner. Through a Commissioner's Nominee, the Commissioner is an ex officio member of every LCDC in the state. The Commissioner's Nominee is normally an officer of DPIRD, but employees of other government agencies can be considered. perform the function of an ordinary member of the LCDC. In liaison with the LCDC Chair and, where applicable, with the relevant government agency select a potential candidate. Discuss the function and duties of the position with the potential candidate. such other number of persons from the local community required to complete the membership, being people or organisations who are actively engaged in land use within the district (generally referred to as the 'land user' category). The actual number of members on a particular LCDC is set by the Order establishing the district. This varies between LCDCs. The Commissioner approves all appointments to LCDCs and members serve a maximum term of 3 years. A person wishing to nominate to be a 'land user' member of an LCDC has the opportunity to do so at any time a committee is due for reappointment (generally every 3 years). Existing members of LCDCs are eligible for reappointment. New members may also be appointed at any time during this 3-year period if there are vacancies on the committee. The LCDC will advertise a public meeting calling for nominations for the committee. To be eligible for membership, a nominee must be actively engaged in land use within the district. A person wishing to nominate to be a member of an LCDC for the first time should complete a nomination form before the public meeting. People intending to renominate need to give notice of their intention to renominate. These should then be handed to the Chair before the public meeting. The LCDC should advertise a public meeting calling for nominations for the committee. Notice of the public meeting should be through a local newspaper and provide 14 to 30 days' notice. The meeting should be held at a central location within the district. A person wishing to nominate or renominate to be a member of an LCDC should complete a nomination form before the public meeting. This form should be handed to the Chair before the meeting. Provide an attendance register for people to complete and sign, with their name and address clearly stated. The Chair will explain that the purpose of the meeting is to determine nominations for membership of the LCDC, explain the agenda and ask if anyone has any questions about the process. The role and functions of LCDCs should also be highlighted along with any achievements or activities recently completed by the LCDC. A representative of the Commissioner (or the LCDC) will explain the legal status of LCDCs, including the functions prescribed under the Act. The Chair will announce the number of vacancies on the LCDC, the number of nominations received and call for any final new nominations from the floor. Once all of the nominations have been received, the Chair will read out the nominees. If the number is less than or equal to the number of vacancies, then a motion should be put to the meeting as follows: "That the nominations be forwarded to the Commissioner of Soil and Land Conservation with a recommendation that they be appointed to the Committee pursuant to section 23(2b)(d) of the Soil and Land Conservation Act 1945". If the number of nominees exceeds the number of vacancies, the meeting will need to decide the nominations by secret ballot according to the voting procedure. The Chair should call for nominations for a returning officer and the meeting should vote on that nomination (usually this will be the Commissioner’s Nominee). Only persons residing in the district or people who are actively involved in land use within the district are allowed to vote. Employees of the LCDC are not allowed to vote. If a candidate requests, they may be given a reasonable time to address the meeting and put their case for election to the Committee. What is a 'reasonable time' will depend on the number of candidates, and the need to conduct the proceedings in an orderly manner. For efficiency and simplicity, the ballot will be conducted as 'first past the post'; that is, the candidates with the highest numbers of votes are elected. Ballot papers should list the nominees in alphabetical order with a voting box next to their names. Persons entitled to vote should indicate their choice by ticking the box of the candidate or candidates up to the maximum number of vacancies. If there are 10 vacancies and 12 nominations, voters should tick up to 10 boxes. In this example, ballot papers marked with more than 10 boxes will be deemed invalid. The returning officer will be responsible for counting votes and declaring the poll. Once the poll is declared, the Chair will put the following motion to the meeting: "That the nominations determined through secret ballot be forwarded to the Commissioner of Soil and Land Conservation with a recommendation that they be appointed to the Committee pursuant to section 23(2b)(d) of the Soil and Land Conservation Act 1945." The meeting is then closed, unless there are other items on the agenda. The Commissioner's Nominee will arrange for the motion to be presented to the Commissioner together with the nomination forms. Samples of notices, nomination forms, attendance registers, agendas and ballot papers can be provided on request. The amalgamation of 2 or more LCDCs is governed by section 23 of the Act. Two or more LCDCs may be amalgamated to increase membership or to create larger, more strategic LCDCs. The amalgamation of 2 or more LCDCs requires the approval of the Governor, acting upon the recommendation of the Minister for Agriculture and Food. The Minister will only approve the amalgamation of LCDCs where there has been adequate consultation with the local community, local government and members of the LCDCs. Ensure there is broad support for amalgamation within the districts. This requires a public meeting in each district to provide members of the community with an opportunity to comment on the proposal. Outcomes of the public meeting will guide the Minister’s recommendation to the Governor on the amalgamation. Where appropriate, the Commissioner may approve a single joint public meeting to consider the proposal. Ensure each local government (wholly or partly within each of the land conservation districts) supports the amalgamation of the LCDCs. The LCDCs should write to each local government to request their support. Funds and assets held by each of the LCDCs must be accounted for in accordance with public sector standards. This will generally require the LCDCs to obtain approval from the original source of funding to have the assets transferred to the new entity. Each case, however, will be different, and your LCDC must seek specific advice from the Commissioner's Nominee before any assets can be dealt with. Under no circumstances should assets (including bank deposits or equipment) be disposed of or transferred without first seeking the advice of the Commissioner's Nominee. a signed statement by the Chair or Treasurer of each of the LCDCs confirming that the LCDC has complied with all the required steps for amalgamation. The Commissioner or Director General of DPIRD may request additional information from the LCDCs before the proposal proceeds to the Minister. This may be to check that all assets have been properly accounted for. Once the proposal is finalised, it will be referred to the Minister for approval by the Governor. The old LCDCs will be formally abolished and the new LCDC formally established on the date the notice is published in the Government Gazette, details of which will be communicated to the new LCDC. Each LCDC should advertise a public meeting to allow members of the public an opportunity to comment on the proposal. Notice should be through a local newspaper and provide a minimum 2 weeks' and maximum 4 weeks' notice. The meeting should be held at a central location within each of the districts. Notice needs to be given in writing to any affected local government at least 6 weeks before the meeting. The notice must outline the purpose of the meeting, describe the purpose and functions of the LCDC and specify the reasons for the proposed amalgamation. Provide an attendance register for people attending to complete and sign, with their name, address and interest in landcare clearly stated. The meeting procedure can either be agreed by those attending, or follow the procedure set out in the standing orders of the local government represented by the Chair. The procedure will include a decision on the method of voting, whether that be by secret ballot or a show of hands. The Chair will explain that the purpose of the meeting is to determine if 2 or more LCDCs should be amalgamated. A short history of the LCDCs should be given with an outline of their major achievements. Any person interested in land conservation issues within the district, including LCDC members, may vote at the meeting. Winding-up an LCDC is governed by section 23 of the Act. Under the Act, winding-up requires the approval of the Governor, acting on the recommendation of the Minister for Agriculture and Food. The Minister will only recommend abolition where there has been adequate consultation with the local community, local government and members of the LCDC. When can an LCDC be wound-up? lack of interest in continuing the LCDC. What does it mean to be wound-up? When an LCDC is wound-up it ceases to be a legal entity and cannot perform any functions under the Act. As for other entities or bodies corporate, the assets and liabilities of an LCDC must be properly accounted for during the winding-up process. Being statutory bodies, the winding-up of an LCDC must also be consistent with public sector accountability principles. Pass resolution: If the LCDC is still active and is properly constituted, it will need to pass a resolution in an ordinary meeting stating that it wishes to be wound-up. The following resolution should be used: “The [Name] Land Conservation District Committee recommends to the Minister for Agriculture and Food that it be wound-up because [briefly state reasons — for example, lack of interest, activities of LCDC have been taken up by an incorporated group].” If the LCDC has been in recess or is not properly constituted, the Commissioner’s Nominee should contact the last office bearers of the LCDC to determine their position. Advertise proposal in local paper(s): To provide members of the community with an opportunity to comment, a proposal to wind-up an LCDC should be advertised in a local paper(s). The advertisement should nominate an address to which comments can be sent. Members of the public should be given at least 3 weeks to comment on the proposal. Obtain the view of the local government(s): Ensure each local government (wholly or partly within the LCDC) supports the abolition of the Committee. This should be done by the LCDC (or Commissioner’s Nominee where the LCDC is in recess) writing to each local government requesting its support for the proposal. Pay outstanding debts; return unspent funds: All outstanding debts must be met before an LCDC can be wound-up. Where the LCDC has received grants from another entity any unspent funds or other assets need to be identified and reported to the grant provider. This should be done by the LCDC (or Commissioner’s Nominee where the LCDC is in recess) writing to each grant provider and seeking its guidance on distributing the unspent funds or assets. If there is a surplus after this process, the assets are handled in accordance with the process described in the section “What happens to surplus assets?” below. Under no circumstances should assets (including bank deposits or equipment) be disposed of or transferred to another entity without first seeking the advice of the Commissioner's Nominee. ​Minutes of the LCDC meeting at which the motion to wind-up the LCDC was passed. Copies of any submissions made in response to the public notice. Copies of the letters from the relevant local government(s) supporting the winding-up. A full account of the management of all assets and liabilities of the LCDC, including copies of any approvals from funding providers. Provide a recommendation on how any surplus assets should be distributed. Signature of the Chair or Treasurer of the LCDC, including a statement confirming that the LCDC has complied with all of the required steps for winding-up. ​Consideration of proposal by Commissioner: The Commissioner’s Office will review the proposal for completeness. The Commissioner or Director General of DPIRD may request additional information from the LCDC before the proposal proceeds to the Minister. If there appears to be significant opposition to the proposal, the Commissioner can direct that a public meeting is held to gauge support before the proposal is progressed. Recommendations to Minister; Governor: Once the proposal is finalised, it will be referred to the Minister for his or her consideration. If the Minister approves the proposal, it will be forwarded to the Governor with a recommendation that the LCDC be wound-up. LCDC is formally wound-up: Subject to the approval of the Minister and Governor, the LCDC will be formally wound-up on the date the notice of that fact is published in the Government Gazette​. If there is any surplus of assets after all liabilities have been paid and unspent grant funds returned, those assets (for example, cash, equipment) are vested in the Director General of DPIRD. Amalgamated LCDC: Where the LCDC is replaced with a larger, amalgamated LCDC, the assets will be allocated to the new LCDC. In allocating the assets to the new LCDC, the Director General can require that they be used to fund activities within the area of the former LCDC, thereby ensuring that funds raised by the wound-up LCDC are used within that area. Neighbouring LCDCs: If there is no new LCDC created, the assets may be allocated to neighbouring LCDCs for works within those districts. Local government: If there is no new LCDC created, the assets may be allocated to the relevant local government to be used for land conservation works within that district. This will be subject to the agreement of the local government concerned. Incorporated land conservation group: If there is no new LCDC created, the assets may be allocated to an incorporated association within the district. The incorporated group will need to agree to the transfer, and must have objectives which are similar to those of an LCDC (that is, the group should be established for the purpose of, among other things, controlling land degradation and promoting soil conservation). Individuals: As a general rule, the assets of an LCDC cannot be distributed to an individual or individuals. An exception may be made where the Director General is satisfied the assets are to be used for on-ground land conservation works on private land. 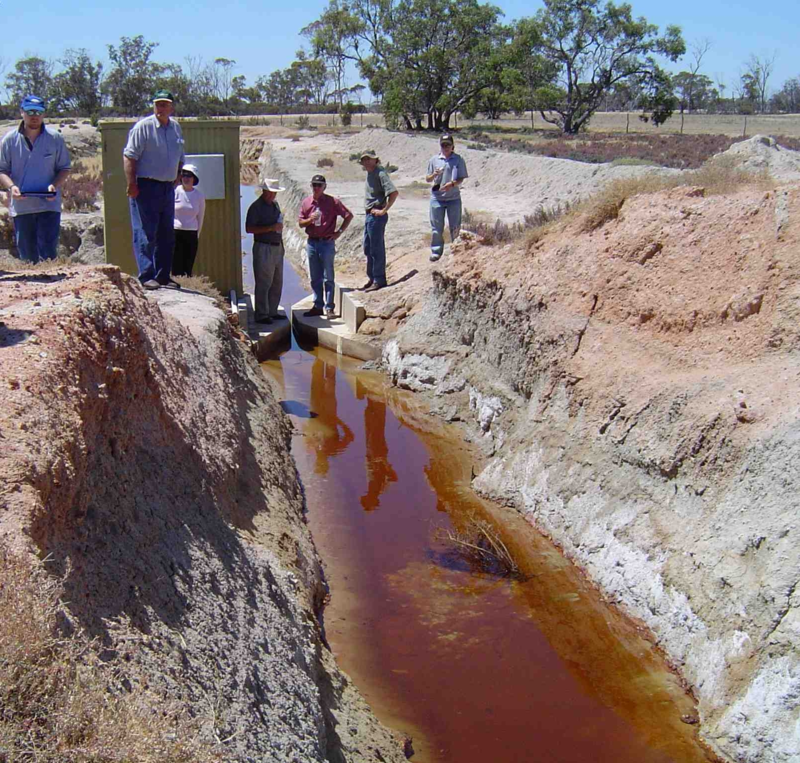 Other LCDCs: Where no local use can be made of the assets, they will be retained by DPIRD and administered for the benefit of LCDCs generally.